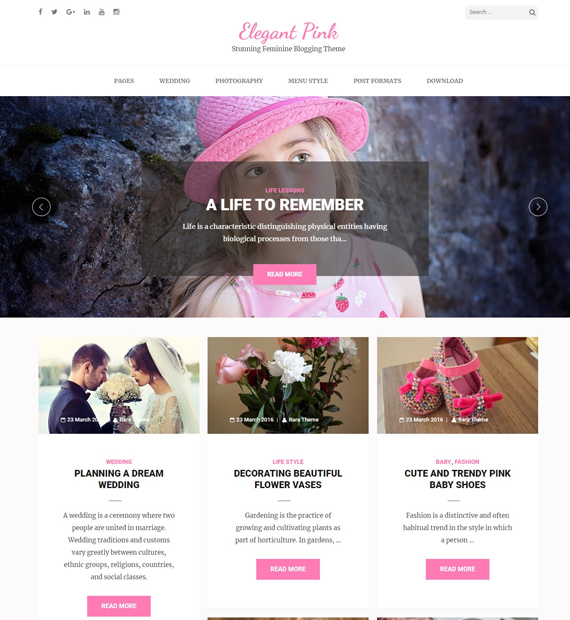 Elegant Pink is a free feminine WordPress theme. This girly theme is suitable for blogging, photography, wedding, lifestyle, and fashion websites. Elegant Pink has a beautiful and unique masonry design to help your website stand out from the crowd. Elegant Pink consists of a slider section which can be used to highlight your best posts. Moreover, this mobile-friendly WordPress theme also offers infinite scrolling feature for better content exposure and great user experience.